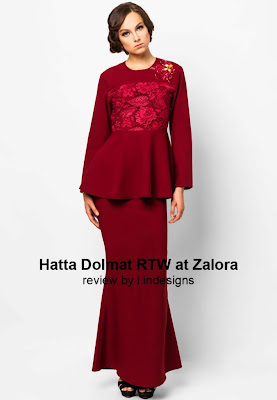 Ready-to-wear peplum to laces, the new muslimah fashion design line-up for this coming Hari Raya will be more colourful with the newest addition by Hatta Dolmat at Zalora. 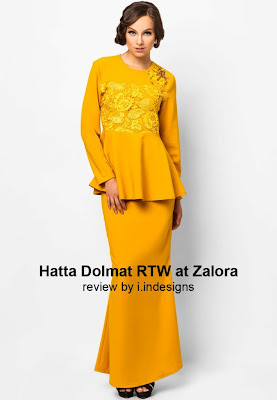 Recently launched in the first week of July, the new Hari Raya design collection by Hatta will definitely bring local fashionista designers a run for their money! 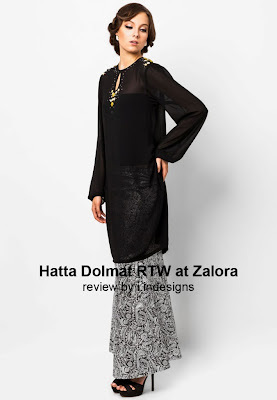 This was our favourite pick from designer Hatta Dolmat, love the lace work and classic elegant design. 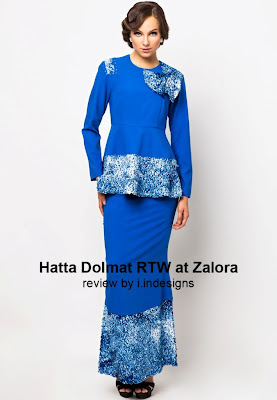 Looking for something elegant and fresh to wear this coming Hari Raya, Hatta's recent collection is the perfect match for you. 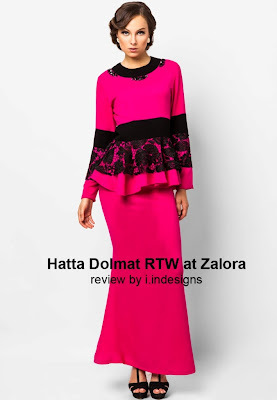 Get in style, trendy, modern and fashionable with this raya collection which is based from the popular modern baju kurung for this festive celebration of Lebaran. 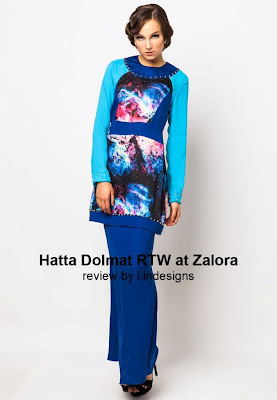 Hatta's design baju raya line-up includes a mix of soft and vibrant colours, from "fish-tail" like cut to the popular peplum styled modern baju kurung designs. Muslimah fashion wear will always look trendy! 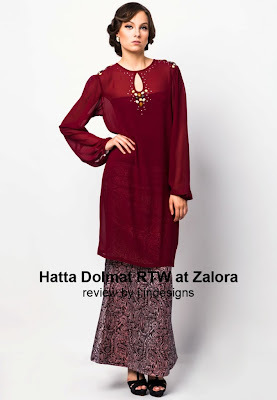 Prices range from RM 275 onwards which makes it affordable for the working class muslimah in grabbing a masterpiece design by Hatta. 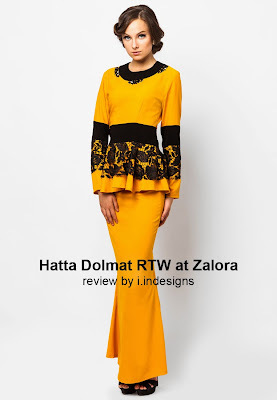 Dedicated to our readers, here we have the full collection 23 of 33 line-up collection of Hatta's latest baju raya designs for this Aidilfitri which you can purchase on-line at Zalora. The brilliant ready-to-wear hari raya fashion collection features four of Hatta's different designs – Lady Brocade, Lady Sequin, Lady Lace and Lady Galaxy. 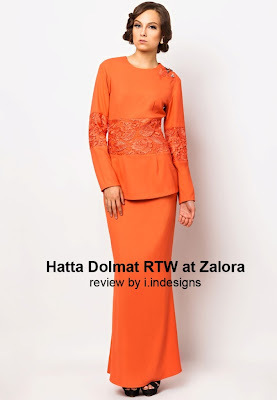 Our choice, a head turner during this Hari Raya, light brown Lady Polyblend brocade Classic by Hatta which features a slim fit modern kurung with embellishment along the shoulders and at the waistline. This modern kurung is almost perfect for what ever body size you are this upcoming Hari Raya celebration!